Children love to make things at Christmas time and Vertbaudet have come up with a lovely selection of things to keep them occupied on the run up to the big day! Most things are easy to make and all have easy to follow instructions, you’ll have most things at home already so why don’t you give something a try. My 3yr old Mister B wanted to try some colouring sheets so we printed some off for him, while Miss M was keen to try the paper star. We followed the instructions and with a bit of help from mummy the star came together – she was so pleased and I love it too – it looked really effective hanging up by the tree. We are going to make some more this week to decorate around the house. Lots of lovely ideas to try – why don’t you try something this weekend to keep the children occupied and add to the festive decorations in your house. This entry was posted in General and tagged Christmas, crafts, kids, make, paper, star, Vertbaudet by Fiona Martin. Bookmark the permalink. 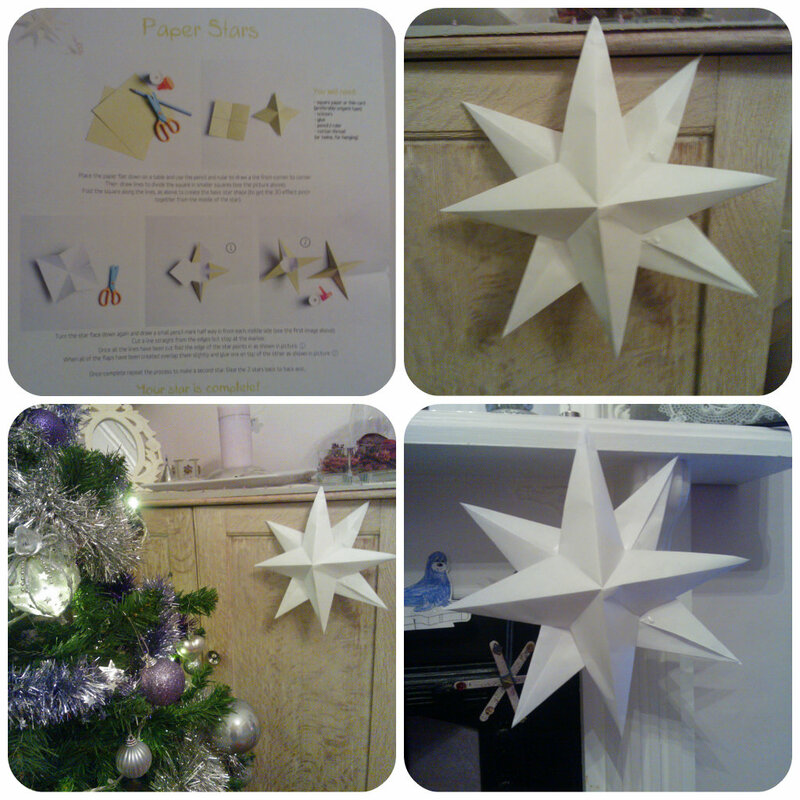 i love the paper star, it looks great! over40andamumtoone recently posted…Toasting Monkey’s birthday thanks to Carling and Aldi! we did a few activities thru them. it was great!